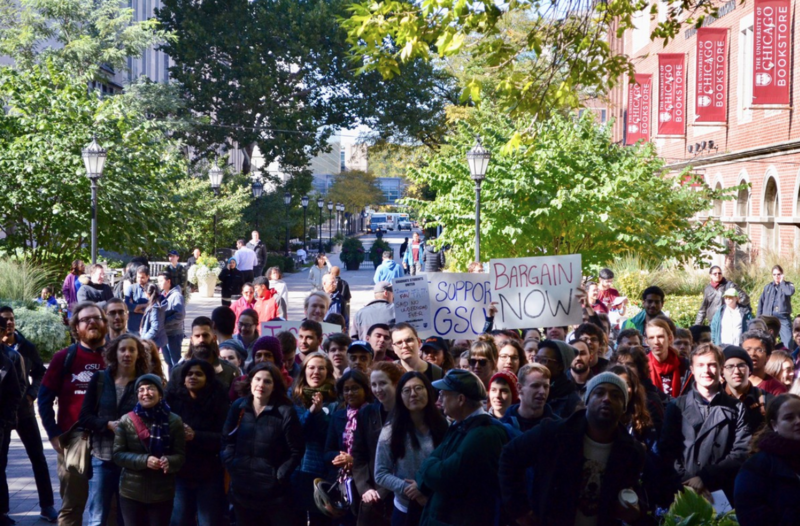 At 11:03 this morning, second year Callie Plimmer found more support than she anticipated behind her choice to leave Gender Civ to use the bathroom, when her grad student TA and 350 other grad students rallied behind her, choosing to also walk out of their classes in solidarity with the bladder movement. Prior to the walkout, Plimmer had consumed a venti cold brew from the Starbucks on 53rd and Woodlawn, going against her better judgement and the advice of her friends, who noted that she’d already consumed several glasses of water with limited time for a bathroom break in her foreseeable future. When she sat down in her 10:00 Gender Civ discussion this morning, she was already feeling the effects of this decision. “I wanted to hold on. I really did. But it was just too much to bear. I needed to take action. It had gone on for too long and my ability to contribute to the university was compromised,” Plimmer said in a statement. As she rose to exit, her TA, grad student Hannah Spencer, also rose, exiting the room silently behind her. “I’ll admit I thought it was a little creepy, her following me to the bathroom, but I figured people show they care in different ways,” says Plimmer. As they moved along the hallway in Cobb, dozens more TAs joined the march, all moving as one unit with someone playing Do You Hear the People Sing? From Les Misérables in the background. “It was kind of fun. But then I think someone made a wrong turn because we ended up passing the bathroom, and went out to the quad. We passed the bookstore and I tried to tell them that there was a bathroom on the second floor, but they were chanting stuff about me, and I couldn’t get them to listen.” Plimmer recalls. “Plimmer, Plimmer, cold brew’s good, behind your pee-break, we are stood!” was reportedly the war cry of the movement, though reports have also conflicted with this, instead citing University President Robert J Zimmer as the chant topic, though Zimmer himself was characteristically not present at a time when student livelihood was at stake. Eventually, Plimmer managed to slip into the Reg for a much-needed bathroom break, whilst the supportive crowd continued on, many carrying signs with phrases such as “Bathroom Now!” and “Philosophers for Urination!” according to first year Janice Young, who was watching the spectacle from the fifth floor of the Reg and who wasn’t wearing her glasses. No word yet on how this unexpected support for Callie Plimmer’s urinary health will impact her pre-class beverage choices going forward, nor on whether the administration will pooh-pooh (or perhaps pee-pee) this display of student collective power.